UCSD Urban Studies and Planning students and students from San Diego State University, conducted over 810 vacant lot/brownfield surveys in 20 neighborhoods of Southeast San Diego, City Heights, Mid City Eastern and Golden Hill, as part of their hands-on fieldwork course requirements. 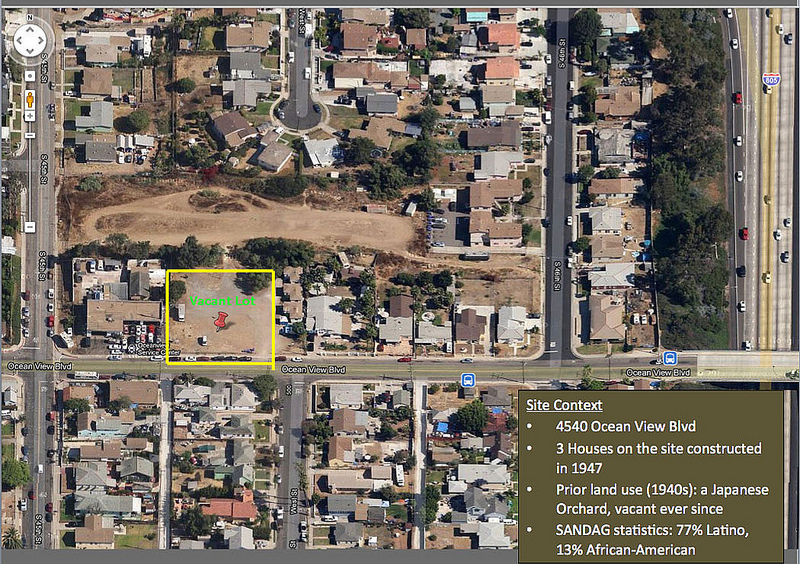 This vacant lot inventory is part of a larger bioregional research and planning effort led by UC San Diego’s Superfund Research Center (Community Engagement and Research Translation Cores) with contributions from community partners including the Global Action Research Center, Victory Gardens, Project New Village, and Alter Terra. 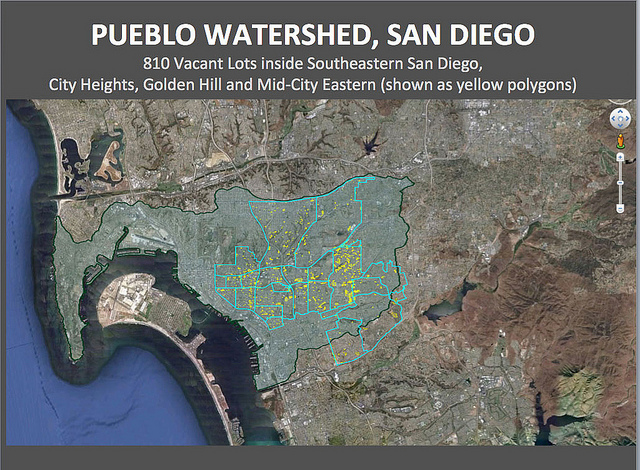 The objective is to set up a community-based system to document the type and distribution of vacant properties in San Diego while identifying and cataloging vacant lots that are good sites for community gardens. The UCSD Superfund Research Center's Community Engagement Core is collaborating with the Global ARC on the Oceanview Community Garden site by providing technical assistance focused on soil science and plant biology. 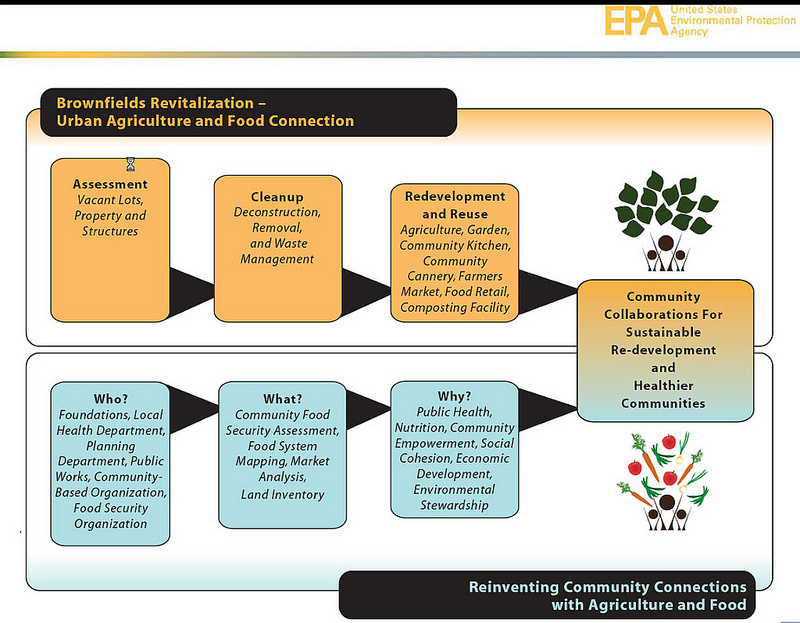 The diagram below, created by the EPA, illustrates how urban agriculture can stimulate the productive use of brownfield sites. Resident capacity/interest and leadership factors including demographics, socio-economic data of local population, activity of local civic organizations. A Brownfield is an abandoned or underused piece of land previously used for indutrial or commercial purposes that may be contaminated by low concentrations of hazardous waste or pollution, and has the potential to be reused once it's cleaned up. The environmental contamination may be real or perceived. The EPA estimates there are more than 450,000 Brownfield sites in the United States. In recent years, people across the United States and around the world have come together to create community gardens. These grassroots endeavors give groups of people the chance to garden while fostering neighborhood relationships, providing a low-cost food source, and cleaning up vacant lots.